Proposed plans involve fewer smaller slips and more paddleboard storage. VENTURA —The Ventura Harbor might do away with 101 boat slips in the near future as plans move one step closer to executing the Ventura Isle Marina Dock Replacement Project. The proposed plan involves fewer wet slips for smaller boats and more storage for paddleboards and kayaks. Ventura Port District’s Board of Port Commissioners approved the Ventura Isle Marina Dock Replacement Project at its Oct. 25 meeting. Ventura Port District Business Operations Manager Brian Pendleton provided the commissioners with documentation on the project supporting the California Quality Environmental Act (CEQA). “The approval certifies the environmental review, which basically approves the project from the Port District’s perspective,” Pendleton told The Log. “But with that approval and with that environmental certification, [Safe Harbor Marinas] can now move forward” to submit an application to the California Coastal Commission. 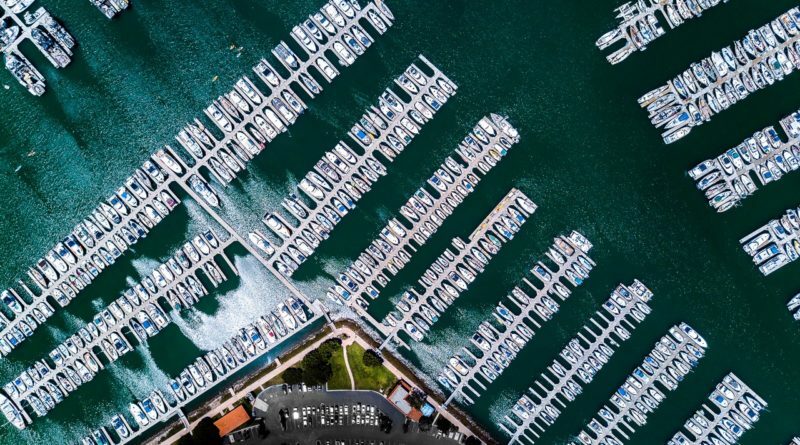 Ventura Isle Marina (VIM), which currently contains 556 wet slips ranging in size from 25 feet to 95 feet, is leased and operated by Safe Harbor Marinas. The docks are approximately 50 years old. The plan intends to demolish and rebuild five docks (G, H, I, L and M) in the marina. “The proposed replacement and reconfiguration of the subject docks would decrease the number of existing slips from 556 to 455 with an increase in average slip size from 38.93 feet to 44.93 feet to meet the current and projected demands of the boating market in this area,” the VIM Dock Replacement Project Initial Study report states. Some boaters have complained about marinas in general wanting to replace smaller boat slips with larger ones to gain more revenue from renting slips to bigger vessels and yachts. However a changing market demand and a high rate of vacancies for smaller boat slips have occurred at Safe Harbor Marinas, according to the Pendleton. “We did an analysis as to where the vacancy lies in our slips [and] there’s not so much of a need for smaller slips as there was in the past” Safe Harbors Marina Regional Vice President Kate Pearson confirmed. Boats less than 27 feet tend to be trailered these days, Pearson said according to their analysis, and the use of trailers for boats 27 feet in length or less tend to be cheaper than renting a slip. “We are reducing slips, but we’re actually adding a whole lot more of standup paddleboard and kayak racks,” Pearson told The Log. “We will…be adding floating [paddleboard] racks, guest lounge floats and kayak launch docks. The plan also encompasses replacing existing dock entry gates and installing Americans with Disabilities Act (ADA) compliant in addition to the upgrades to the five dock slips. “Boaters will be able to enjoy our new docks with larger slips and increased power to the docks as well as gorgeous state-of-the-art gate houses,” Pearson said. The exact budget and timeline has not been determined yet, since the project has not gone out to dock builders for bids. The project cost is going to be in “multiple of millions,” Pearson did mention. The California Coastal Commission still needs to approve the project before requesting bids on the project. “We’ve had the discussion with Coastal Commission about the dock layout on what they think is appropriate,” Pearson relayed. “There might be a revision for what we are asking here. Feedback from Safe Harbor Marinas’ members is obtained through an annual survey, Pearson mentioned. Local boaters can also provide feedback by sending a message through the contact page online at venturaisle.com.